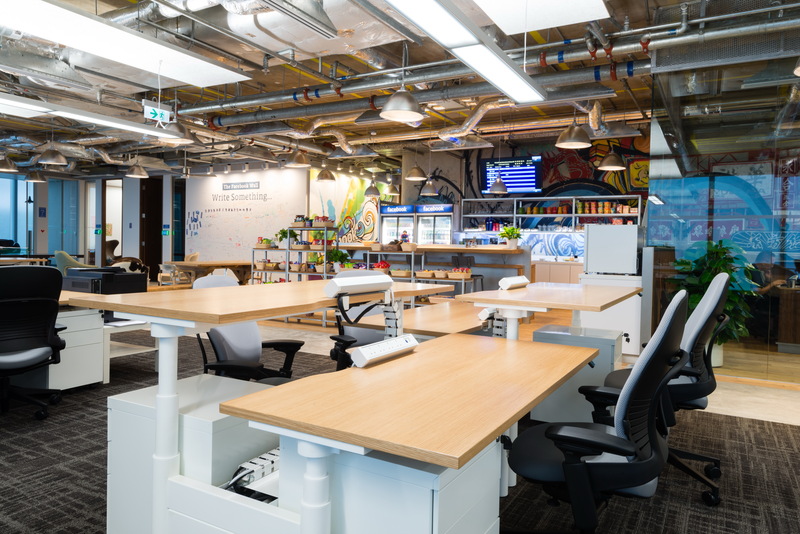 High above Victoria Harbor, this office features many of the amenities most of us can only wish for, from a singing-and-dancing Micro-kitchen to a ping pong table to a treadmill – equipped, of course, with a worksurface – to a massage chair with a million dollar view. 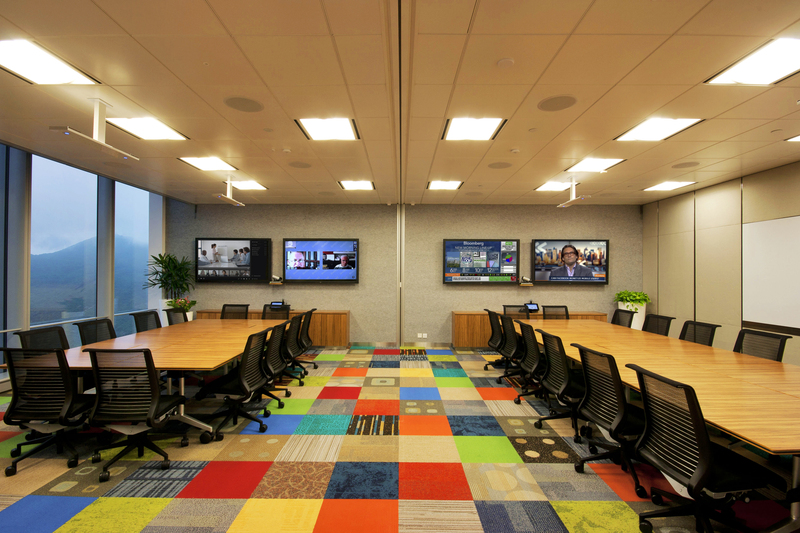 Even the individual desks – there are no offices here – are motorized for vertical adjustment to ensure that every individual’s size and working position is accommodated. 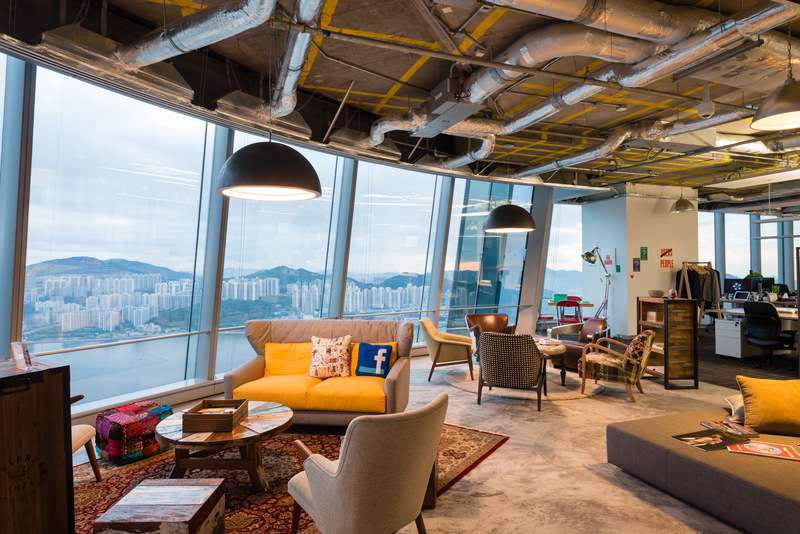 For this is the new Facebook Hong Kong office, occupying half of one floor at One Island East in Quarry Bay. 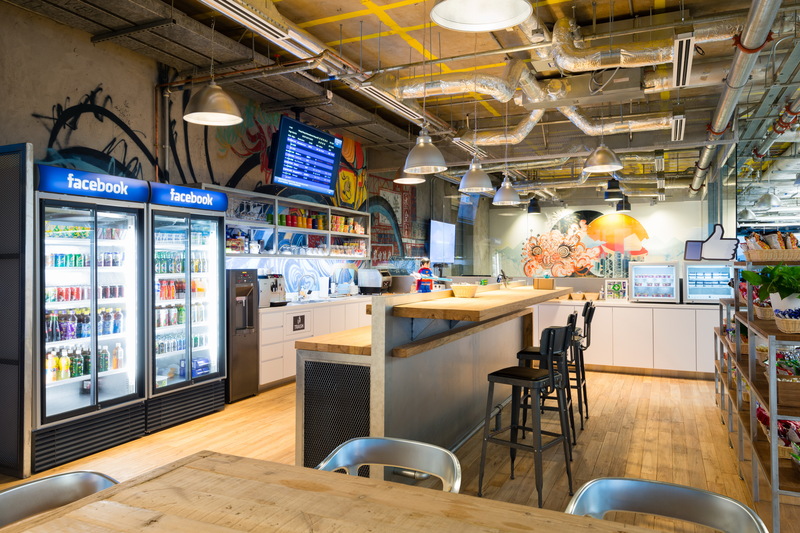 Although the company provided extensive guidelines as to the quantity and size of every facility from the four ‘cozys’ (the smallest meeting rooms) to the All-Hands space, and from the IT Help Desk to each of the storage areas, there was still room for interpretation and, especially, for the infusion of local color and flavor into the design. 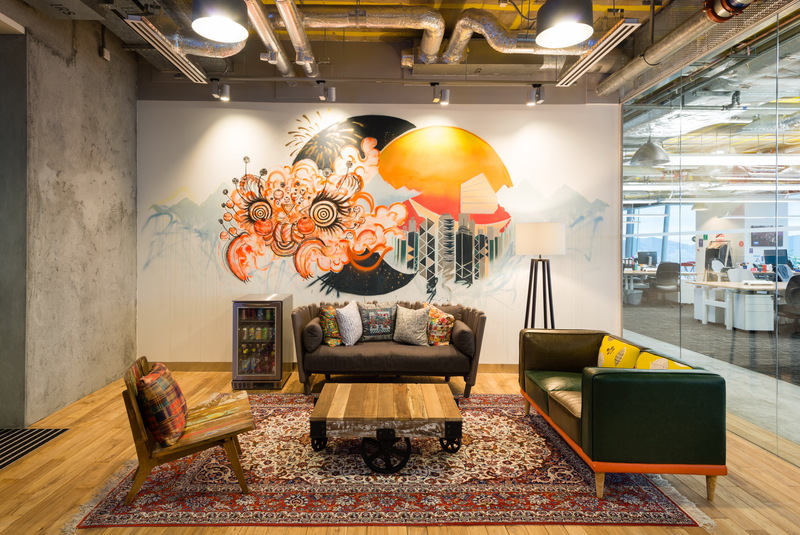 Working closely with the Facebook team, the premises was brought to life over a period of six months, culminating in numerous trips to local showrooms for ‘that last piece of eclectic furniture’ to give the interior the feeling of a home away from home – a place the staff wouldn’t necessarily want to leave at the end of the workday. 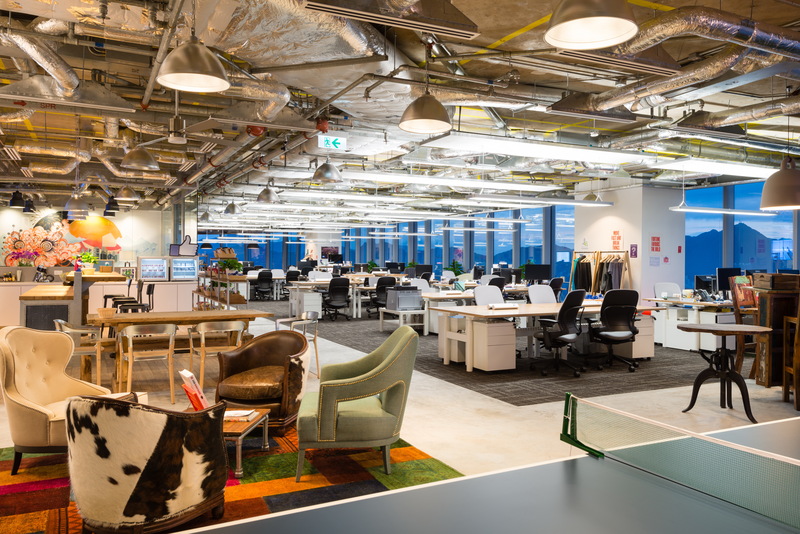 Even the graffiti lion and skyline on the reception wall and the homage to the King of Kowloon’s famous calligraphy on a freestanding column are evidence of the Hong Kong theme – but this office has the social-by-design Facebook DNA throughout.